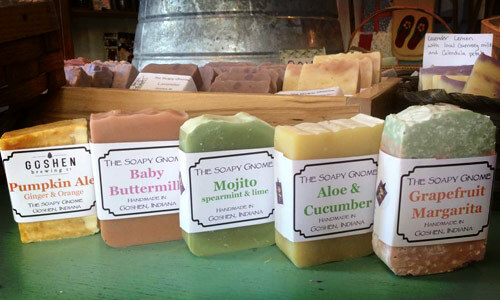 The Soapy Gnome features hundreds of handmade soaps that are sure to please even your most unhygienic relatives. Made by owner Jenny Frech, the products feature all-natural, organic ingredients from local vendors. While you’re there pick up your very own “Love Goshen” necklace made by a local artist! Want to impress that beer lover in your life? The Constant Spring is now selling memberships to their mug club. Mug Clubbers receive a customized one-of-a-kind mug, plus they’re gifted with a $5 off token once a month! 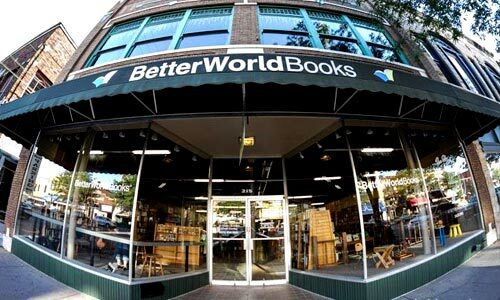 There’s only one Better World Book store in the world, and it’s in Goshen. 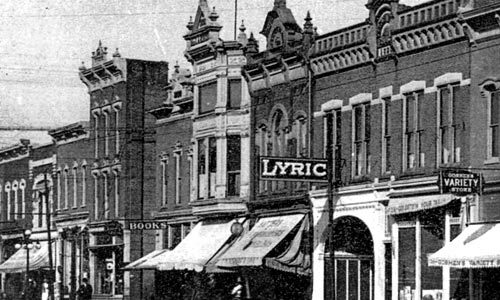 Find used and new classic reads, hard to find board games, and Goshen memorabilia at this amazing downtown location. What says Christmas like a box of chocolates? 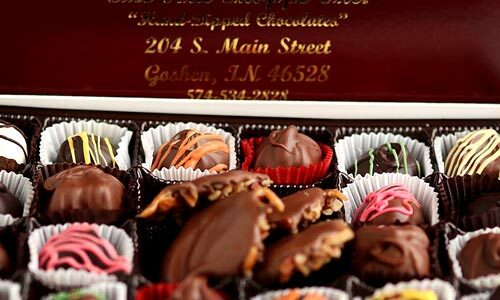 Made fresh everyday, The Nut Shoppe and Olympia Candy Kitchen offer everything from the most delicious turtles to white chocolate dipped almonds. 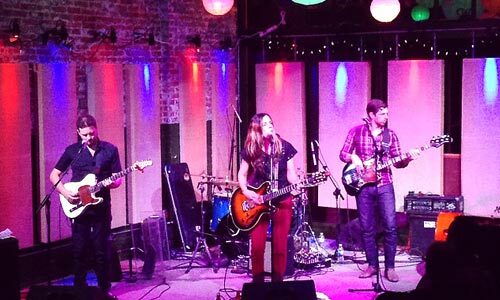 Give the gift of music this season with tickets to an Ignition show. We promise your loved ones have never heard music in a venue like this before — recently named one of the top 10 best places to hear live music in the country! 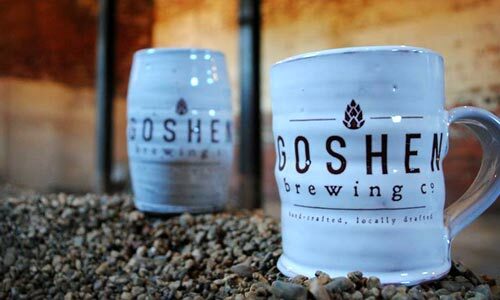 Goshen Brewing Co. is finally here! So pick up a gift of swag with a GBCo. shirt, mug, or hat to rep this new Goshen classic. One visit to Rêverie and you’ll be hooked! Well, more specifically you’ll be knitted and pearled. 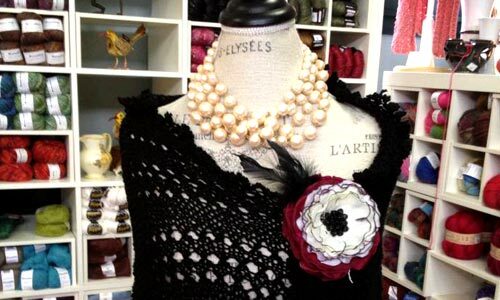 This boutique features great gifts for all your favorite crafty family members, plus they sell some of their own knitted designs! It’s truly amazing what you’ll find at Found. Every item in the store is hand selected from around the world by owners Keith and Anne Graber Miller. 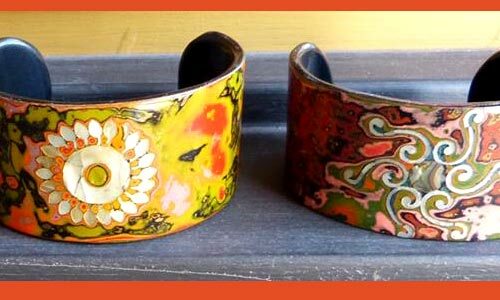 You won’t find art and gifts like these anywhere else! Have a history buff to shop for? The Goshen Historical Society has gifts available from a simpler time, and each comes with its own story! Pick up the Goshen Sesquicentennial (1831-1981) china plate or the Goshen, The First 150 Years history book. What could be better? 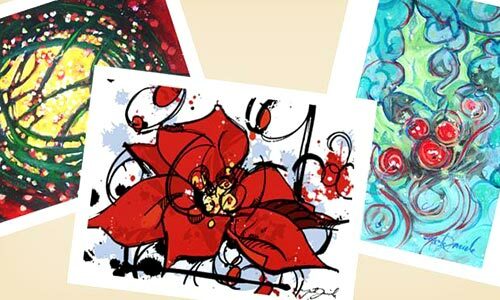 Local artist Mark Daniels brings his paintings to the masses by producing amazing cards featuring his work! Never go anywhere empty handed! 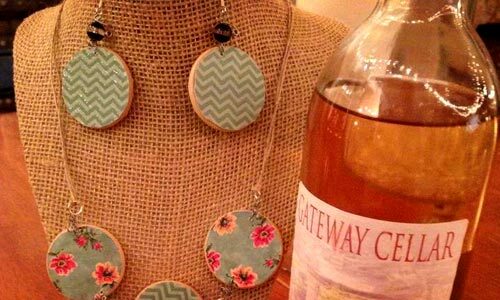 Bring a bottle of Gateway Wine made right here in Goshen and wow all your friends and family. 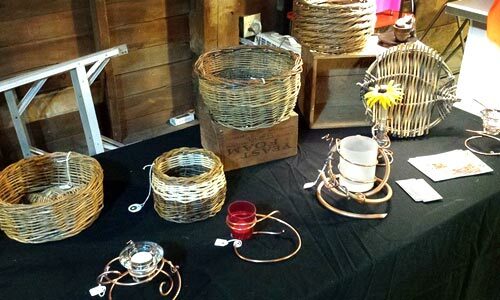 The Goshen Farmer’s Market is a great place to find one-of-a-kind gifts! 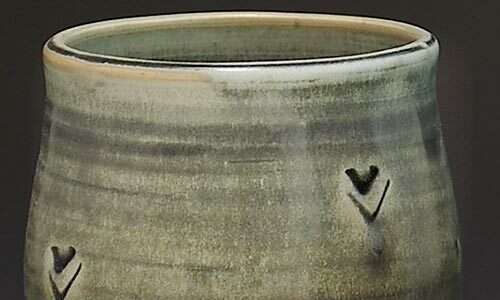 From photography and knitwear to pottery and brass table decorations, there’s something special for all your loved ones. Have a health nut in your life? 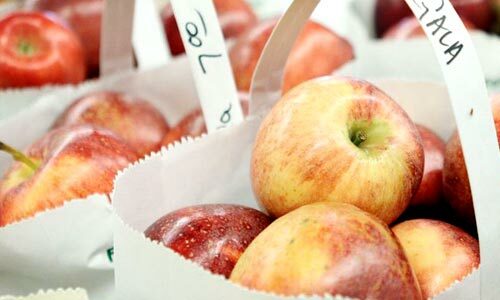 Then you’ll want to head over to Kercher’s Sunrise Orchard Farm Market, family farmed and owned since 1922. The Kercher’s Pride Gift Basket is filled with produce grown right here in Goshen, and full of healthy vitamins … and love! 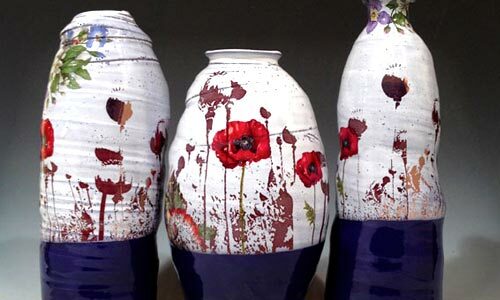 Goshen-based artist David Kendall creates these whimsical and insanely beautiful pieces from his new studio in downtown Goshen. 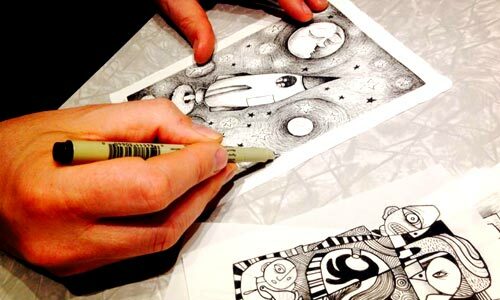 These pen and ink drawings make unique gifts that are sure to impress, but there are also clocks, phone cases, and mixed media pieces for sale as well! Okay, so these are technically made in Elkhart but entrepreneur John Webber and his family live in Goshen, so it totally counts. 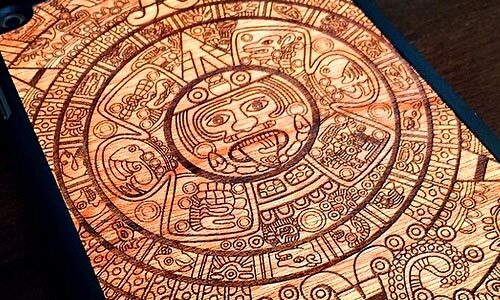 These wooden phone cases make awesome stocking stuffers and are sure to wow even the hardest to shop for. 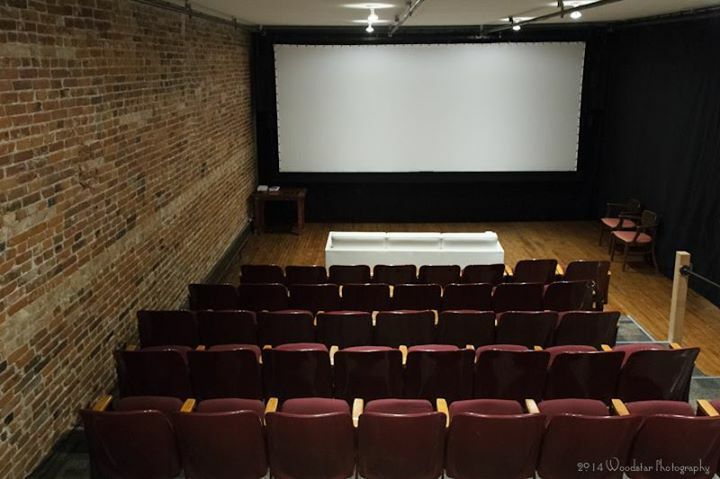 Give the gift of cine-magic with tickets to an indie film at Goshen’s Art House Cinema. This one-screen 60-seat theater feature the most innovative and well-respected filmmakers on the independent film circuit, celebrated at the world’s most prestigious film festivals such as Cannes, Sundance, and South by Southwest.